I just moved and it hasn't been easy getting new furniture and making it feel like home! To my luck, The Dream Bed came to the rescue. 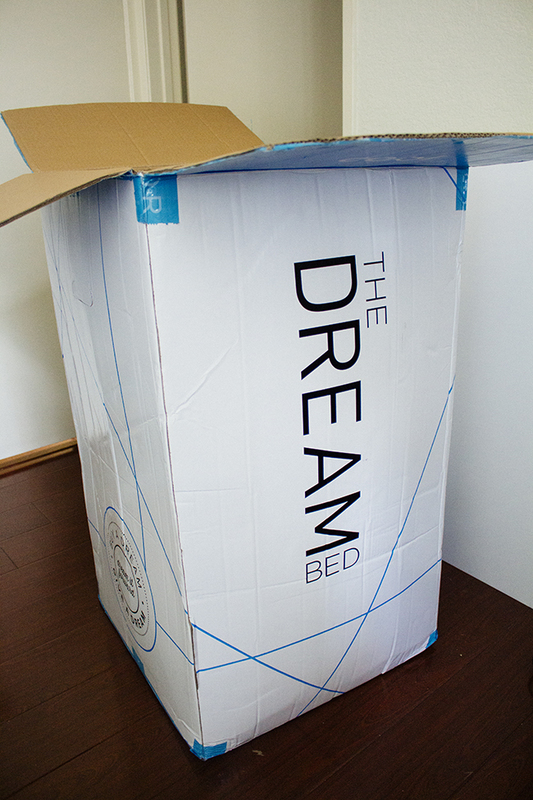 I received a Cool Dream Bed and Pillow which was designed to adjust to your body's temperature. It has a cool gel-infused memory foam to keep moisture away and dissipate heat. 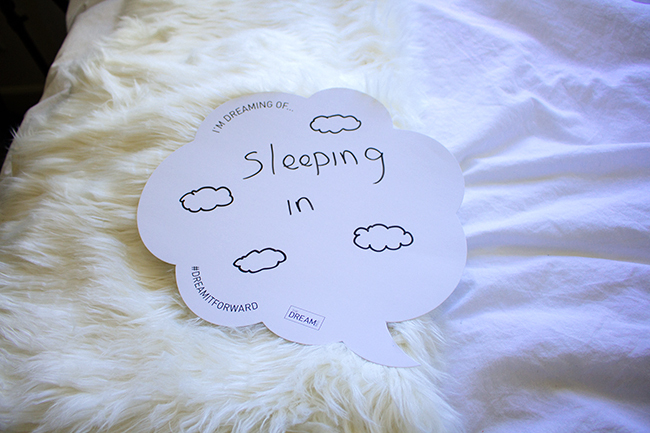 I'm always running around during the day so getting a good night's sleep is a must! 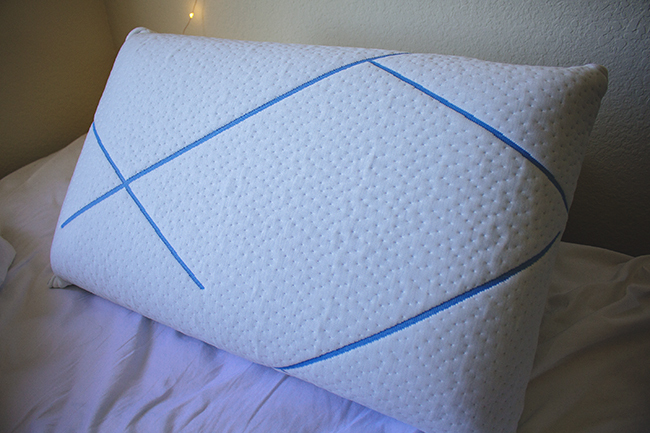 The mattress contours to your body and adjusts to everyone's shape so it feels like a personalized mattress. Perfect for those hot summer nights! 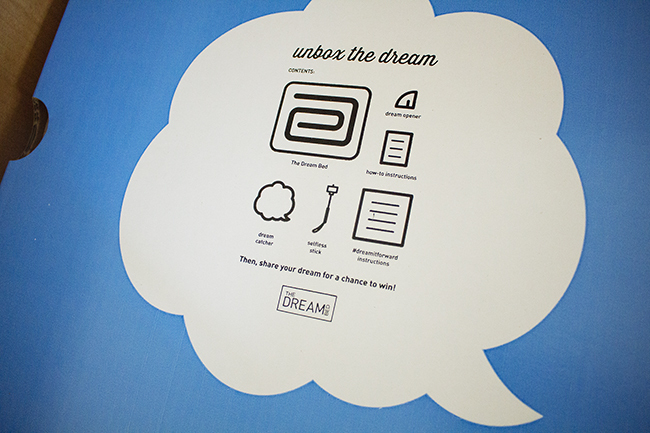 The company behind The Dream Bed is also socially conscious and gives a bed to a family in need with each purchase through the #dreamitforward campaign. So far 105 beds have been donated. Not only is the mattress super affordable but you can also try the bed for up to 180 nights at no cost with free two day shipping. I was surprised that my rolled up mattress was able to fit in a compact box. The bed also comes with a "Selfless Stick" so you can take fun photos of yourself in bed! It's important that my bed and the surrounding area near my work space keeps me inspired. It's still a work in progress but the small accents near the bed can really change the way your bedroom looks. 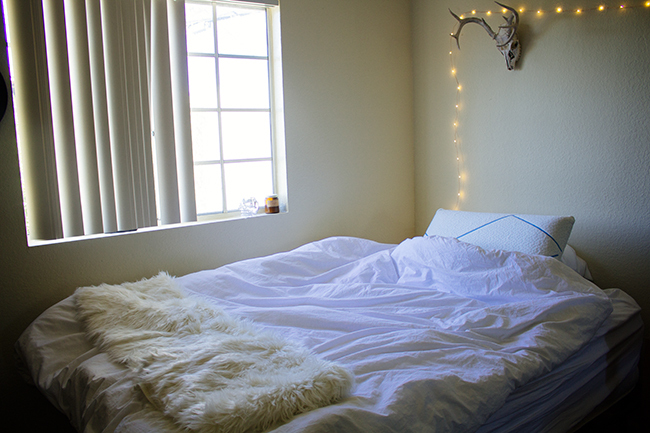 I love the dreamy string lights that has been the main light for my room and the deer skull I picked up in Austin pulls the room together into the bohemian look I'm going for. I'll do a full room tour when it's closer to being finished so stay tuned!